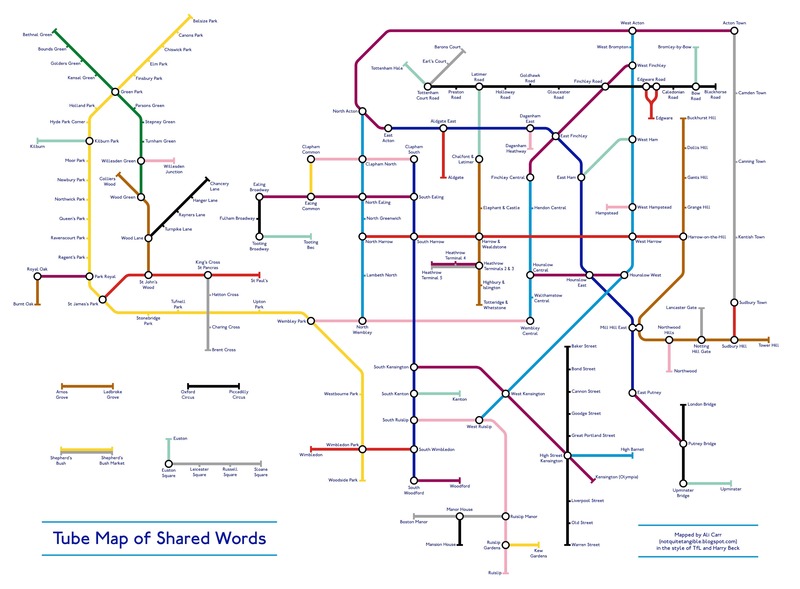 How would the tube map look if it was arranged by words that the stations share? Alastair Carr decided to find out. 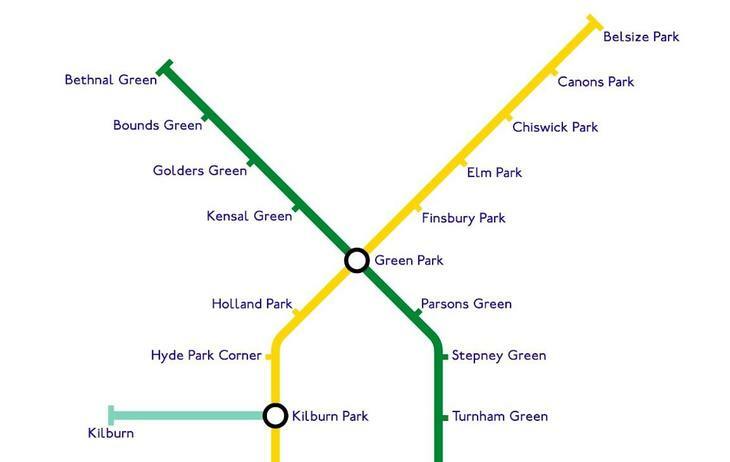 Welcome to a London where Bethnal Green, Bounds Green, Golders Green and Kensal Green are neighbours. 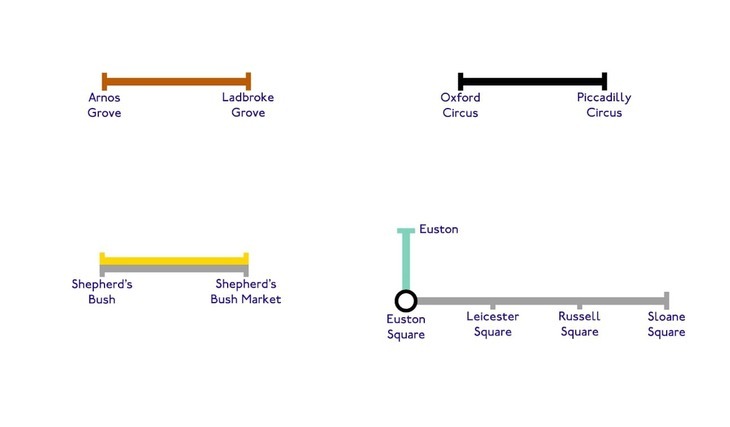 Where Oxford Circus and Piccadilly Circus have their own dedicated 'Waterloo & City-style' line. 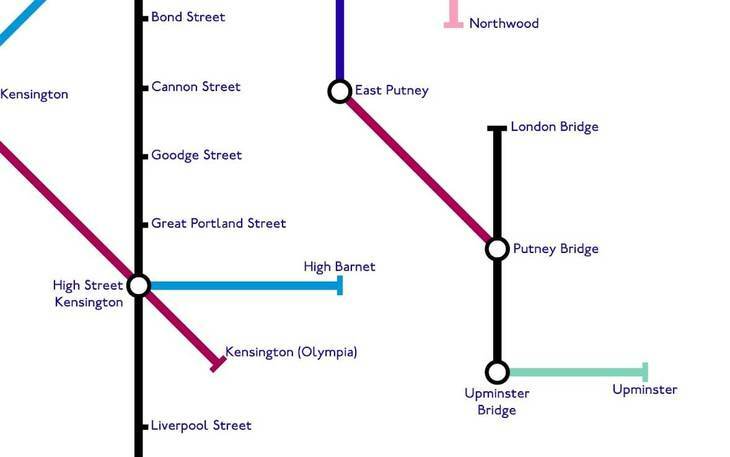 Where London Bridge, Putney Bridge and Upminster Bridge are but a brief jaunt from one another. 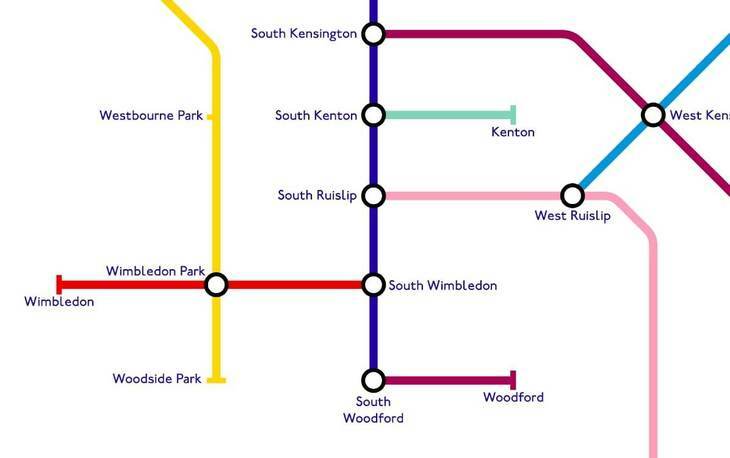 And where the three Wimbledons are FINALLY united. Awww. The map isn't just organised by name association, however. 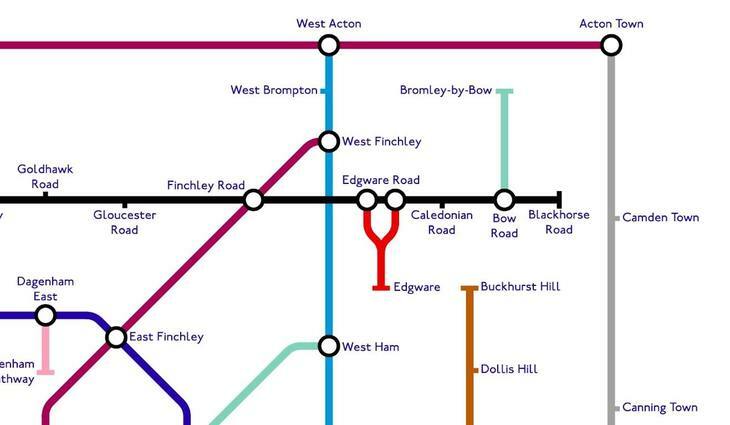 Alastair tells Londonist, "I tried to colour the lines with some logic, although there are a couple of idiosyncrasies." Says Alastair, "I had no idea what colour to use for the ampersand, so I just thought "well, ampersands are kind of quaint, and the Bakerloo line is quaint, so I'll do that line in brown as well. "In general I tried to avoid lines of the same colour appearing too close together." All images © Alastair Carr. Follow Alastair's blog here.